I love sitting in my patio because there I can inhale some fresh air and we love to have our lunch or dinner in the patio and also to perform recreational activities there. My patio adjoins my house and it is also typically paved. At the end of the day when I return home tired and messed up from my work, I take my kids along in the patio, we play there some hide and seek game, we gossip there and have a cup of tea. So after my green landscape, this is probably the best space for killing time. Earlier I had some branded sofa arrangements in the patio which were quite expensive. But when they had become totally deteriorated, I had to switch to some fine pallet made chair set which were meant to equate the earlier branded sofas and coffee table. I have seen many pallet made furniture made items in house hold, they offer the best utility inspite of being cost friendly. They give you immense style and all the freedom of style. In none of the ways they are any lesser than the conventional furniture items. You can not make your patio a luxury place unless it is not very well equipped with some fine luxury furniture. 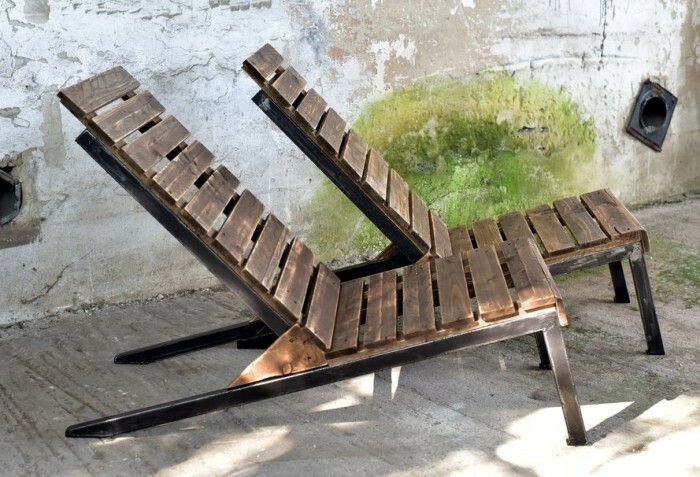 So a friend of mine advised me some real great inspirations of making some delicate patio chair set for my patio. 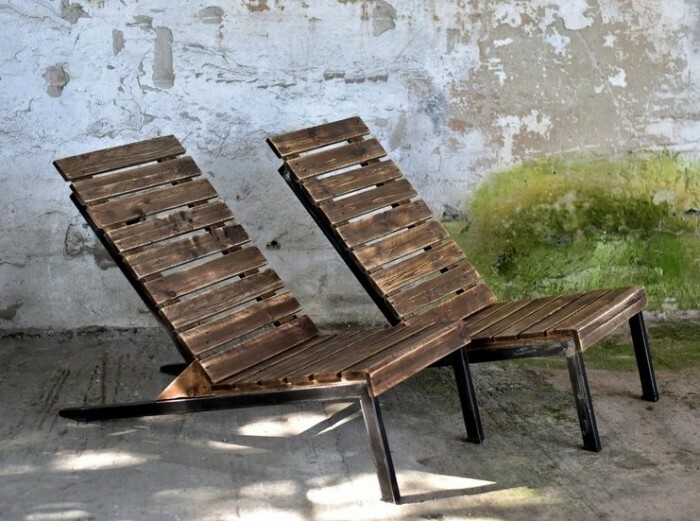 Here it the following project, a couple of patio chair set is made with the help of pallet wood. 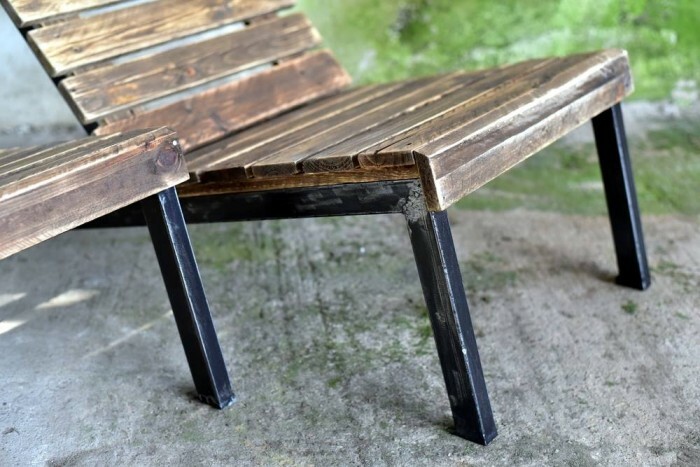 No special care has been taken in the maintenance of the texture, no special paint or polishing has been done but some plain pallet planks are used in making patio chair set. These long easy patio chairs are best for being placed in patio to give you a best sitting arrangement.